Bare Biology Lion Heart Maxi is now available! 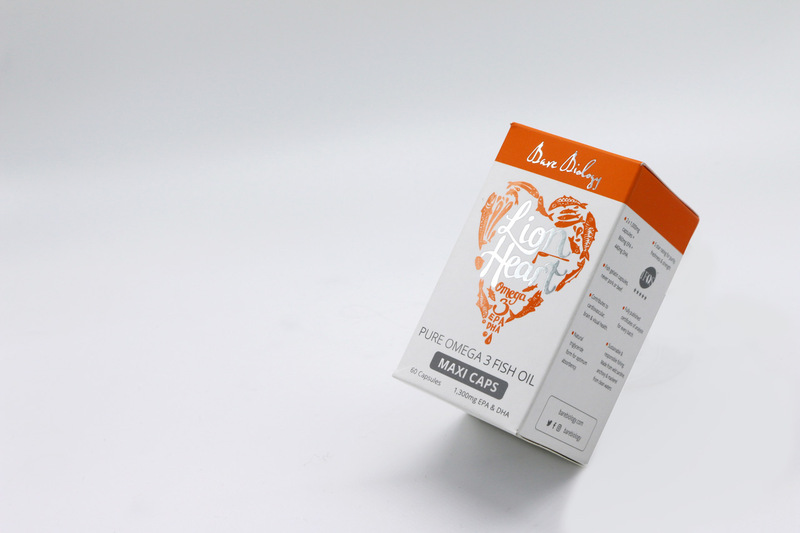 Bare Biology are a Fish Oil company founded by Melanie Lawson in 2012. After a failed quest for a supplement that was strong enough, fresh enough, great tasting and 100% pure, she decided to make one herself. Melanie set her mind to discovering the best fish oil in the world, and she succeeded! She found the manufacturer she needed in a fishing town in Norway. 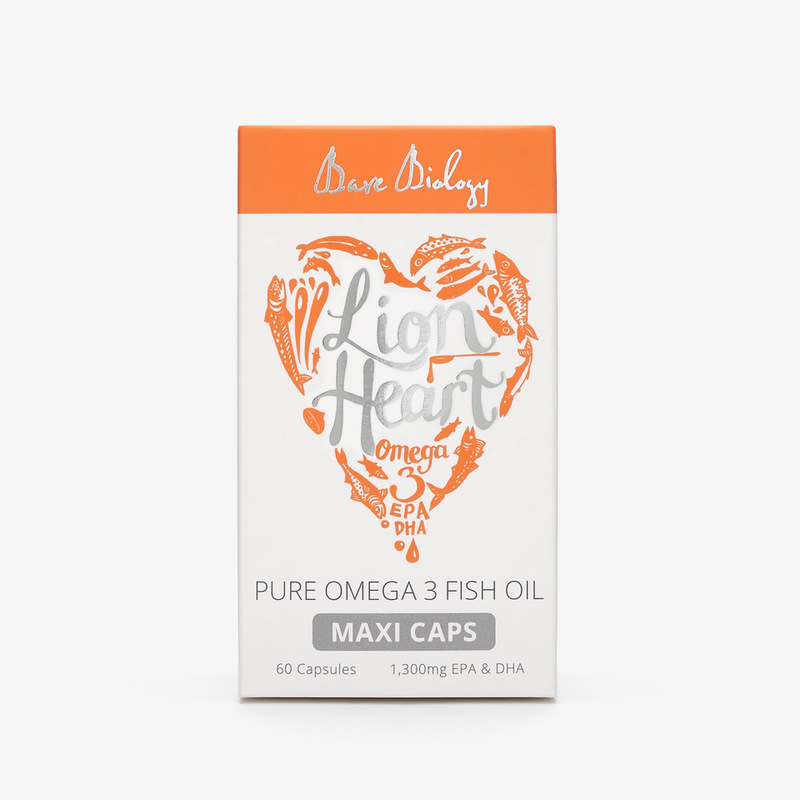 The product went from strength to strength especially when Liberty decided to stock Lion Heart. They’ve caught the attention of a number of well known health and beauty experts, bloggers and editors. Their oils are 100% pure, have higher concentration of EPA and DHA than any other, have low oxidation levels so they taste great and they offer excellent value for money. Who it’s for: Perfect from 12 years up. Health benefits: anti-inflammatory, heart, blood pressure, arthritis, skin, mental health, brain and eye development. 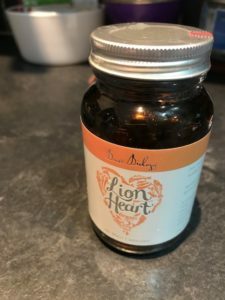 I’ve been testing the high strength formula for a few weeks now and can highly recommend it (and this is not a paid post:-). My joints feel easier with the longer run miles, my circulation in my feet is better (less Raynauds), and my skin feels smoother. I would highly recommend giving it a go. 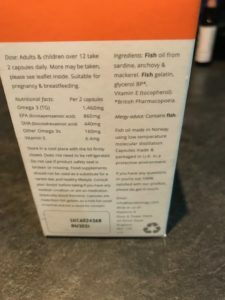 Supplementing Omega 3 links with my DNA profile too, so I always notice a difference when I do it. If you have any questions please do email me. You can read one of my series of Bare Biology Blogs – ‘How to Live in the Moment’ here. To buy Bare Biology click here.